I recently wrote about the Best Hot Chocolate in New York. 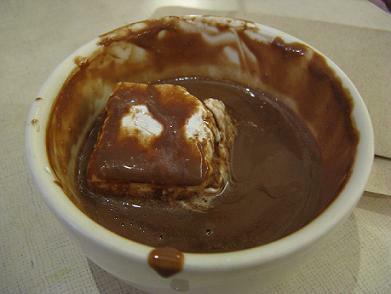 After reading my post, a friend reminded me that we have great hot chocolate right here in Westchester. 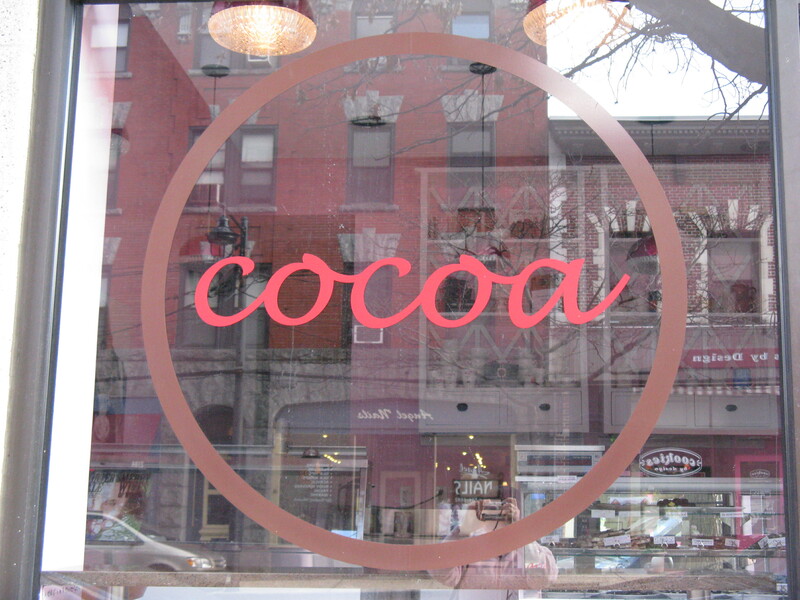 It can be found in the village of Larchmont at Cocoa. This is a cute little shop located on Boston Post road that sells nothing but chocolate–truffles, brownies, non pareils, and of course hot chocolate. The shop is tiny, so it’s the kind of place where you order a shot of hot chocolate, can sit on one of the four stools at the counter and drink, but cannot linger. The chocolate itself, is very thick, smooth and creamy and is definitely made by melting pure chocolate and adding just enough milk to keep it liquid. It is not served very hot, but you do sip it slowly since it is so rich. The hot chocolate comes in three sizes–small (a satisfying taste), medium (a chocolate addict’s portion), and large (able to induce a chocolate coma), and they offer fresh whipped cream with it. The prices are very reasonable, a small cup costs $1.95, a medium is $3.50, while a large is $4.90. A small is about 3 oz, but since it is so rich it is very satisfying. In fact, my four year old wasn’t able to finish hers. If you are a true chocolate glutton, or just having a party, they also offer cocoa-to-go, an 80 oz container of hot chocolate for $37. While the hot chocolate here is great, and certainly worth a trip, they only serve chocolate and nothing else to eat. 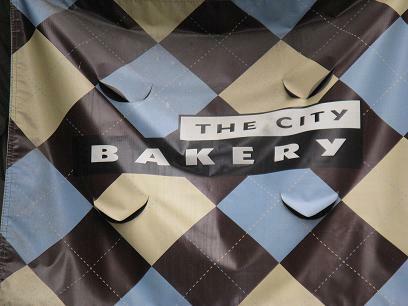 So if you want a place where you can eat pastries, drink great hot chocolate, and hang out, this place is too small and does not fit that bill. 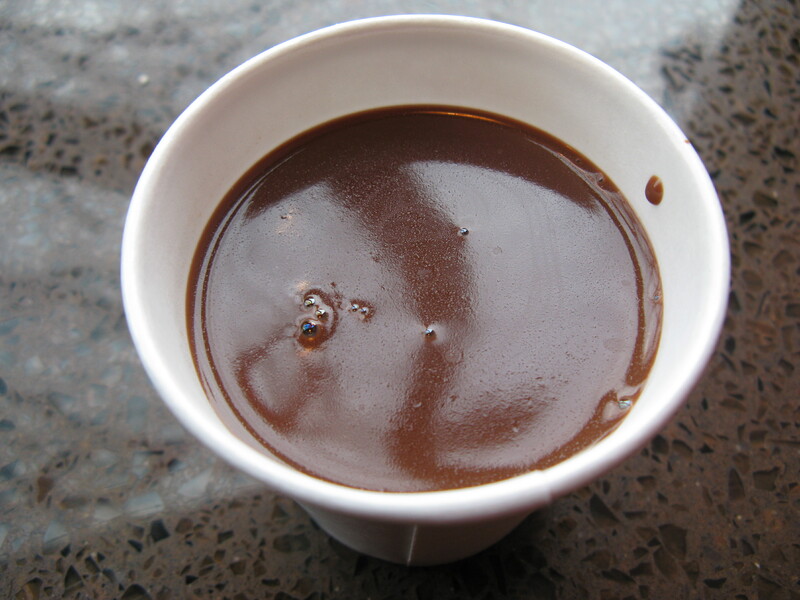 However, if you do want a cup of rich, creamy and very satisfying hot chocolate, then Cocoa is certainly worth a visit.